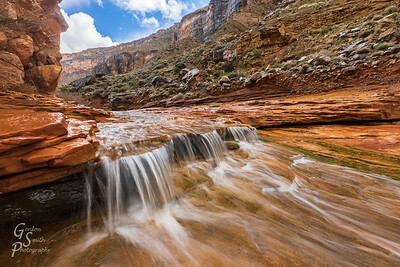 High Water, Low Angle: getting down low to photograph a seasonal but beautiful waterfall set in a rocky canyon. 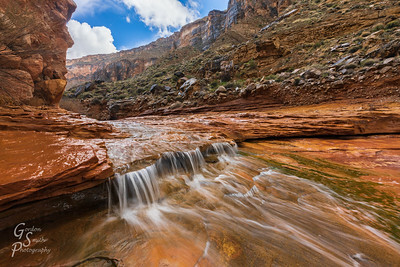 Another beauty of southern Utah. 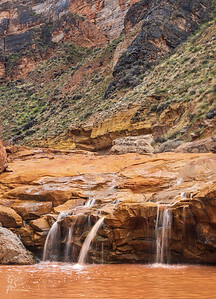 Small Falls, Big Paradise found in Rock Creek Canyon, part of the Utah BLM. Clearing Skies over Rock Creek Canyon after a heavy storm. 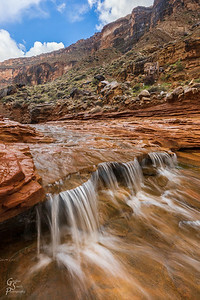 Water fills the canyon. Rock Creek Waterfall and Canyon with tall dark cliffs and gorgeous waterfalls. 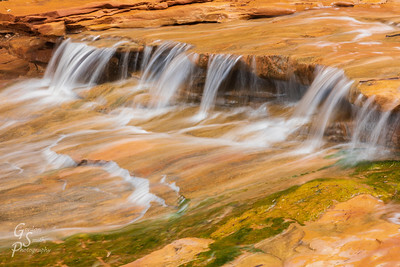 Beauty Falls: a small seasonal and colorful waterfall in southern Utah. 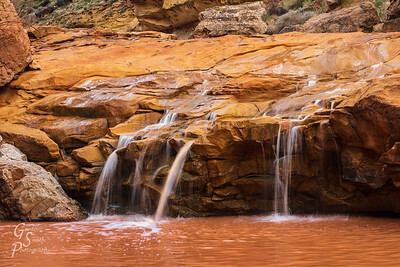 Slippery When Wet: Slickrock earns its' name when water turns this into an ice-like surface to tread. 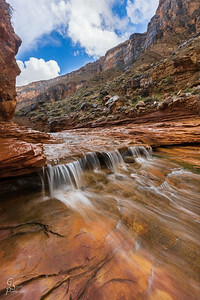 Deep in Rock Creek, a tributary of the Virgin River near St. George, Utah. 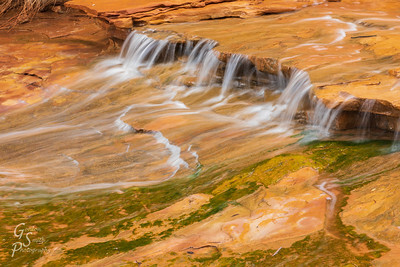 Peaceful Rock Creek with sandstone terraces and small waterfalls. 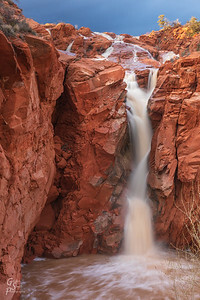 Whisper of a Waterfall: Rock Creek Waterfall feeds into Hurricane Wash, then to Fort Pearce Wash and finally to the Virgin River at St. George, Utah. 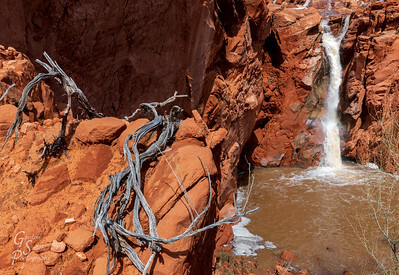 This waterfall only happens during a storm. 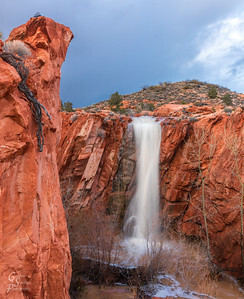 Gunlock Tower Falls: a wild waterfall drops just below this sandstone tower. 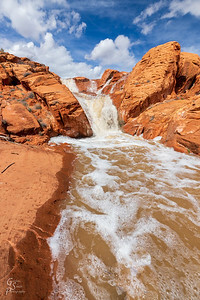 Gunlock Reservoir Waterfall during a flood. 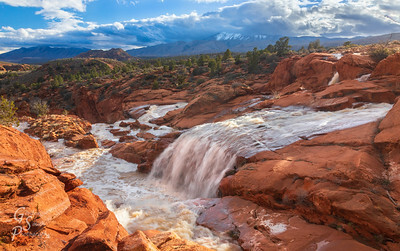 After the Storm but During the Flood is the most beautiful time to capture waterfalls at Gunlock, Utah. A Small Drink beside a Big Flood. 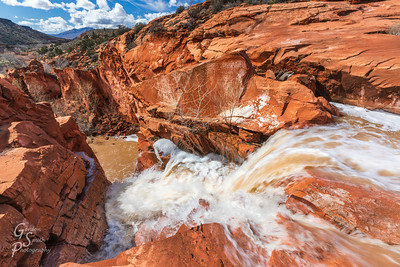 Floodwater Rising during a heavy snowmelt in Spring. This is a wonderful but rare Utah phenomenon. Saved From the Flood: a perfectly position slad of rock allowed me to stand in the line of flooding but not get wet. 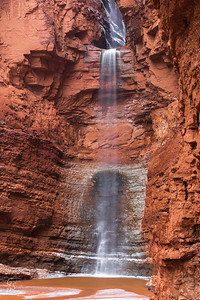 The waterfalls funnel into a slot below fanning out broadly. 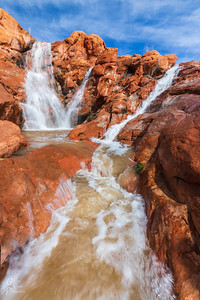 Shivwits Waterfalls: These beautiful waterfall are located aside the Shivwit's Reservation in southern Utah, near Ivins and St. George. 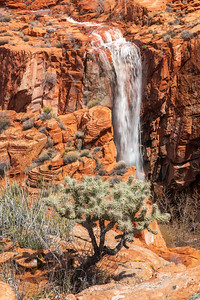 Cholla and Waterfall: a desert paradox with a cactus and and abundance of water so near one another. 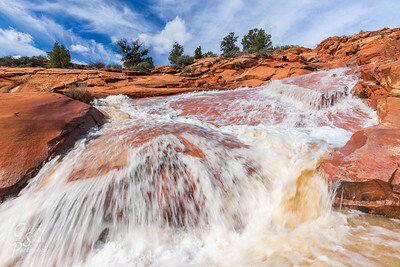 Rocky Fall happens where Gunlock Waterfall takes its' biggest drop. Here is the view from above. 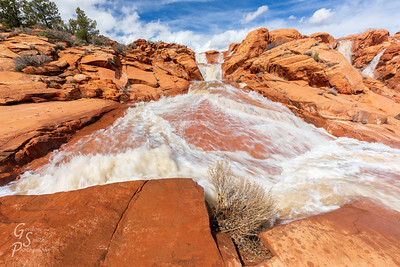 Raging Flooding Fast Water during a sudden flood in southern Utah. 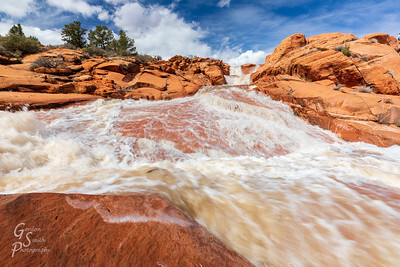 In the Flow, Deep here in southern Utah during a flood. 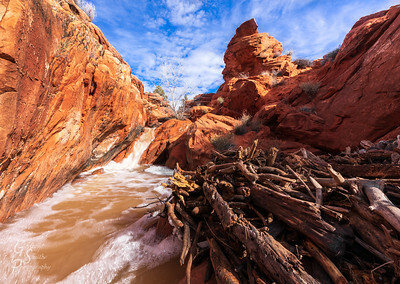 Sticks Pushed Aside by Floodwaters in one of the many waterfall networks in Southern Utah. 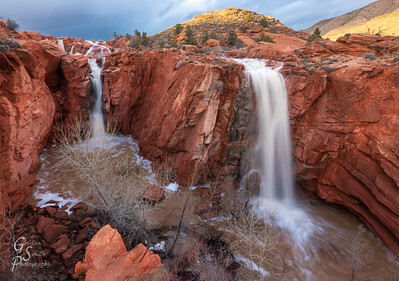 Water Flow at Dusk as the famous Gunlock Waterfall sees most its' visitors leave for the night. 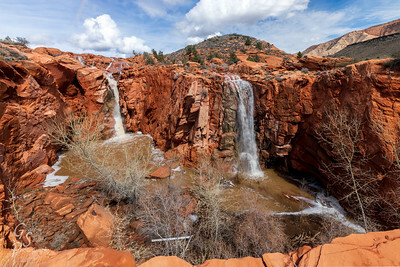 Tall Desert Waterfall in southern Utah. 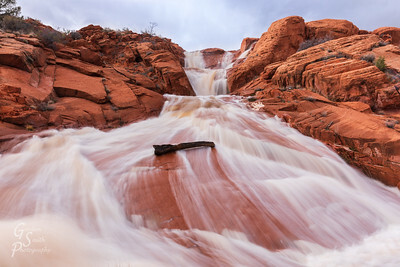 Dual Gunlock Waterfalls at Sunset taken during the flood of 2019. 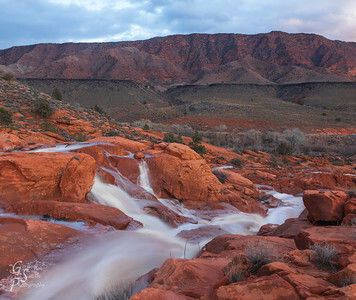 Sunset Gunlock Waterfall: a beautiful arc of falling water as sunlight barely touches the surrounding mountians. 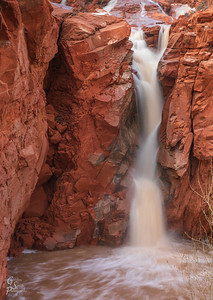 Water Cutting Stone as this Gunlock Waterfall cuts through the cliff and down to a deep pool below. Water Cutting Stone 2, a variation. 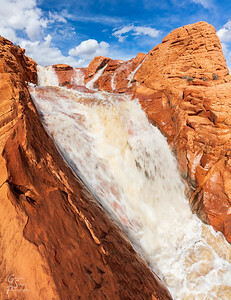 Web of Waterfalls found in the vicinity of Gunlock, Utah. 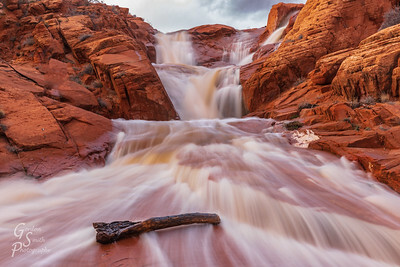 Gunlock Waterfall Panorama taken at sunset. Stubborn Log sits in the middle of a flood and waterfalls but amazingly remains still. 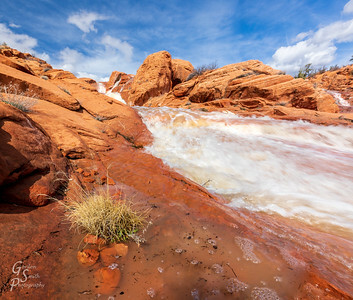 The beautiful sight happens rarely at Gunlock, Utah. 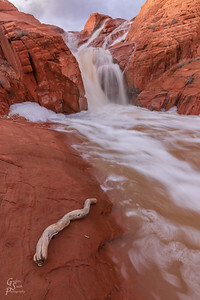 Impeding Flow, a log sticks to the slickrock while fast-running waterfalls attempt to dislodge it. 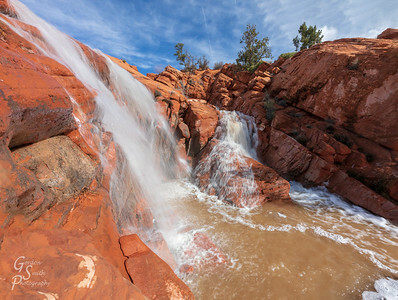 Twisted Stick at Gunlock Waterfall: Amazing waterfalls form at Gunlock Reservoir after a heavy rain or rapid snowmelt. 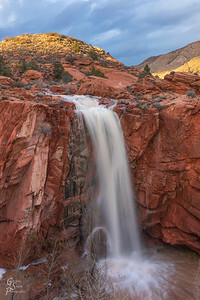 March 2019: Gunlock Waterfall at Sunset: West Mountain in the distance is covered with melting snow. 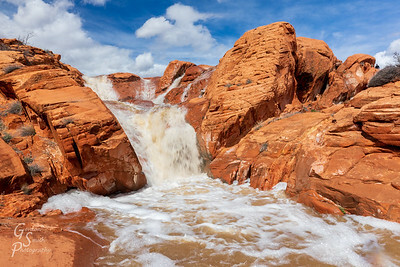 The slanted slickrock forms a sliding waterfall in beautiful surroundings.